Oh how I love Italy! The truth is, it is my dream destination and hopefully I would be able to visit it soon! 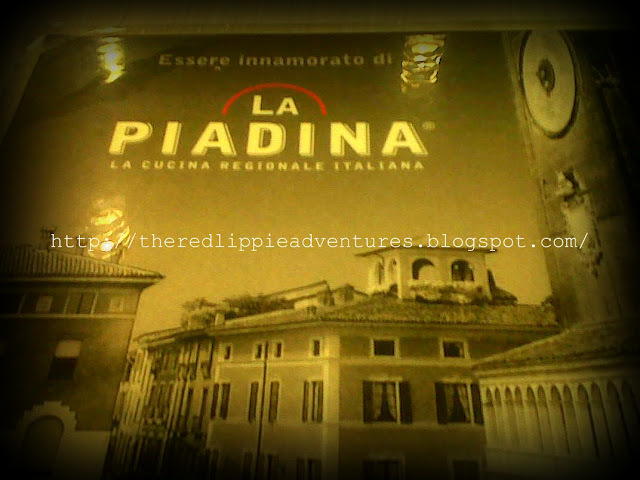 I absolutely adore the Italian language, I even went to an Italian language class sometime in 2009 for 6 mos! I still remember some but oh no, you have to forgive me for my very bad Italian these days! I need more practice and I think I need a gorgeous Italian tutor soon! Haha! I like Italian food too much. 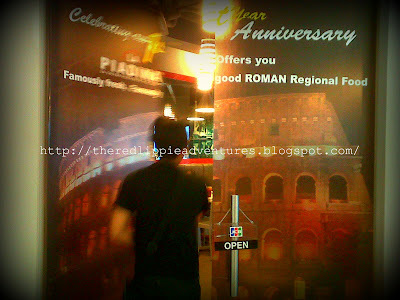 I've been lucky to know a real Italian who slowly introduced me to a number of Italian dishes and since then, I can't stop eating Italian, lol. I was telling my friend Ryan that I used to like pizza but now no more. But I still love pasta haha! Anyways, I am here to talk about our recent visit to an Italian place called "La Piadina". 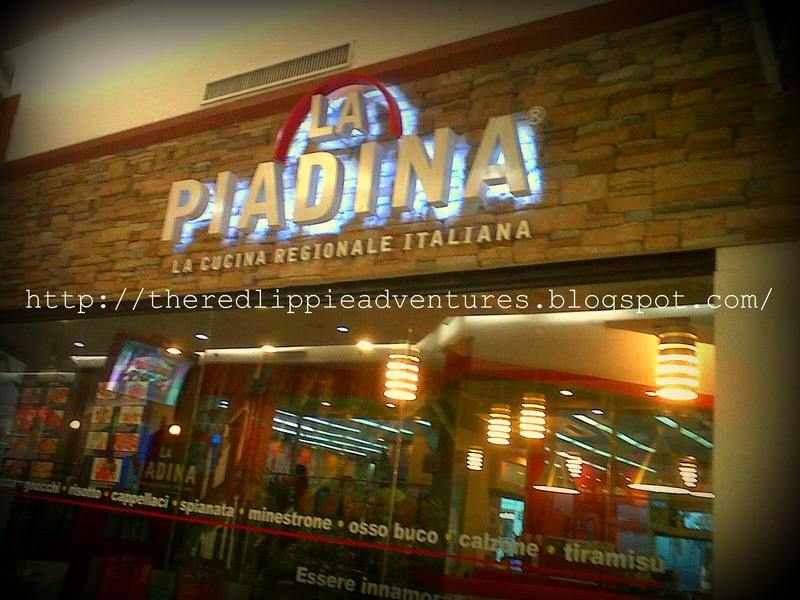 I always pass by this place whenever I am in Glorietta so one day, Ryan and I decided we need some Italian lovin'. 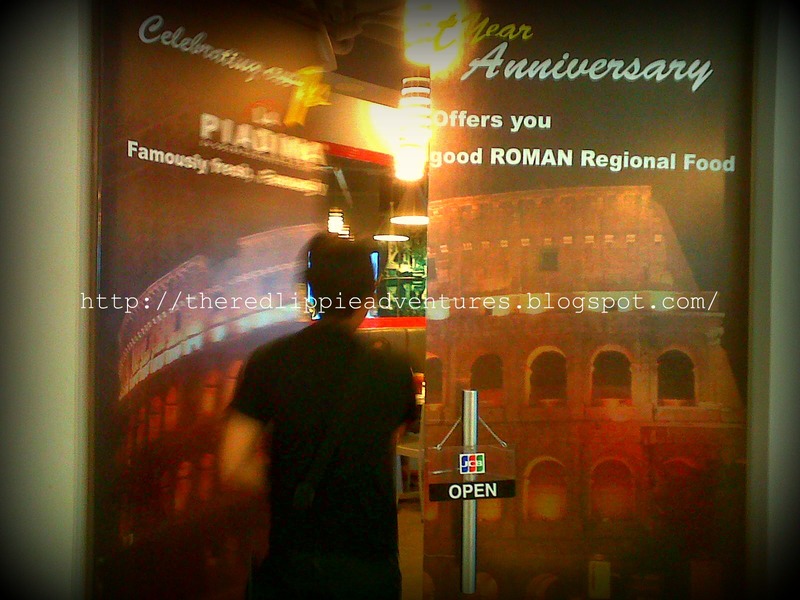 The place was not crowded on a Thursday and it was well maintained. The lady who welcomed us was very helpful and she made sure we were comfy. 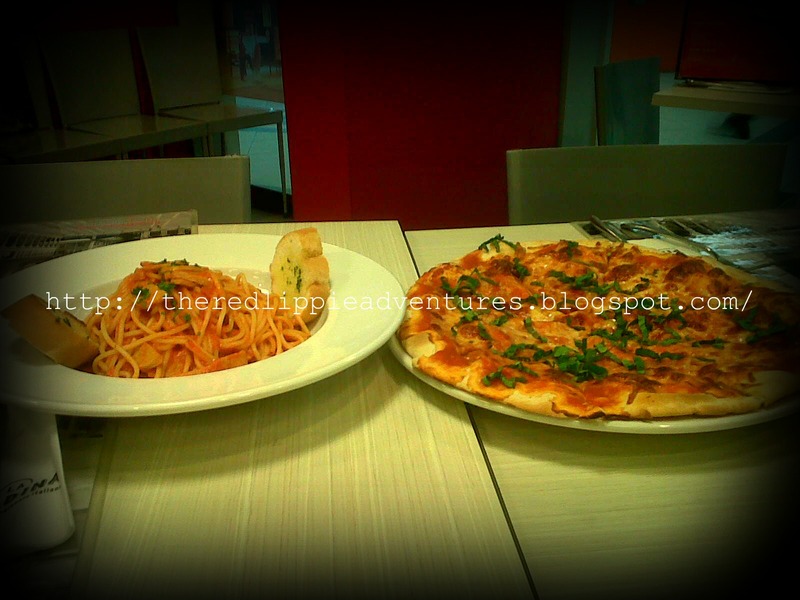 We planned on having pizza and a pasta, and so we did. 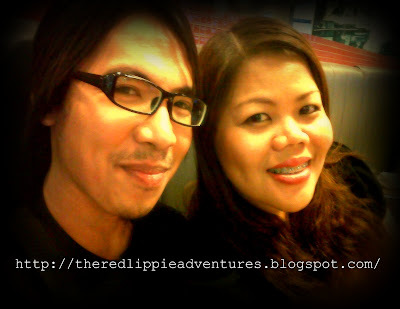 The food was yummy! 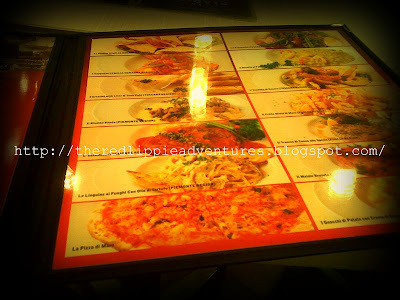 The Margherita pizza (Php 240.00) was superb! 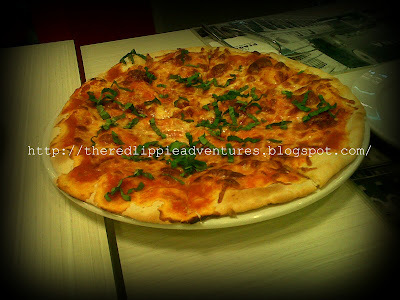 I like basic pizza such as this one and I loved it. 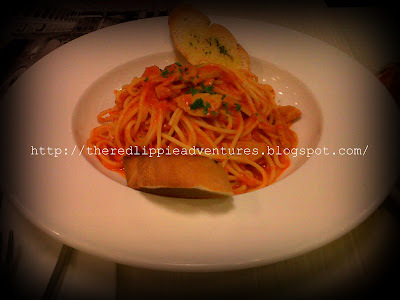 Though the pasta (Php 250.00) was a bit pricey for me but it was worth it. And mind you, they don't put some service charge on your bill (super wow!). Till my next adventure! Baci! Ciao!